1) I wouldn’t be able to carry groceries, my daughter, a diaper bag, and the mail into my house at the same time. My arms, shoulders and back are definitely stronger because of flys galore and the Wheels on the Bus curl sequence. 2) I’d spend a lot more money at Target. Thanks to Stroller Strides, my daughter and I are occupied Monday, Wednesday and Friday until lunch time. Then, thanks to our private Facebook group, I can always find someone to meet up with after naps for a playdate. We’re never bored! 3) I’d go stir crazy in the winter. I’m from New Jersey originally, but Chicago winters are brutal. Regular indoor exercise, playgroups, and good company make all the difference. 4) I’d have to Google more things. When I have a Mom-question, all I have to do is ask at class or in our private Facebook group. Within minutes, I’m sure to find at least two moms who went through the very same thing, and who are ready and willing to share practical tips about it. If I asked Google, I’d have to sift through pages and pages of conflicting advice. I would also probably jump to scary conclusions. 5) I’d laugh a lot less. From out-of-breath conversations during travel between stations, to impromptu after-class gatherings, to Mom’s Nights Out, to random texts from other Moms on hectic days—humor helps us get through these early years in Our Village. So happy to have found this organization a year ago. Life wouldn’t be the same without it. 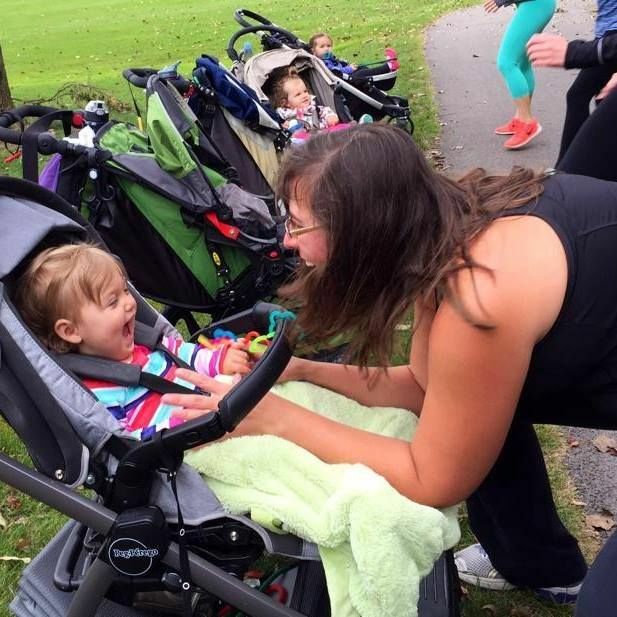 Happy Stroller Strides-iversary to me!